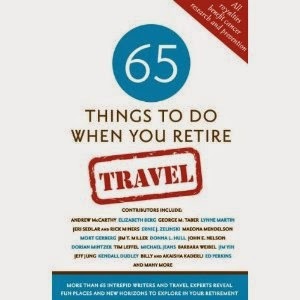 Travel can become a big part of any retiree’s life. Whether you are a current retiree or about to become one, you probably have some travel destination on your TO DO or BUCKET LIST. Recently we met some retirees who said they weren’t sure where they were going to travel next, because they had already seen most of the places they had longed to see. We were a little surprised because some of these people were only in their late 60’s and early 70’s, and could have a long longevity runway in front of them with no place to go. We decided to turn the idea of travel on its head and challenged people to REWIRE their thinking and attitude when it came to seeing new places and experiencing new cultures. …and we are happy to report that it worked! People began to use a new set of eyes when they looked at their vacations! A retired engineer told us that he was not eager to visit another beautiful cathedral (or ABC to seasoned travelers) but after visiting Chartres Cathedral he decided that he was going to figure out how Chartres Cathedral was built! One day it just hit him that rather than just look at beauty, he would turn the cathedral into a project for himself when he got back home. A fellow traveler suggested that he begin by reading Ken Follett’s book, PILLARS OF THE EARTH, to jumpstart his interest. Or how about the couple who took an unplanned food tour in Paris and couldn’t believe how much enjoyment they got by learning about a culture through its food. They decided that looking at a city through a “food lens” was going to be their new travel criteria. Other examples included a woman who visited Vienna, attended an opera against her will, and loved it! Or the person who saw a Santiago Calatrava bridge in Seville, Spain, and said “when I get home I’m going to Google him to learn more! Maybe we’ll visit his other works around the world!” Who knows….maybe there are architectural tours for non-architects? If not…maybe there should be! There are countless stories of people traveling the world…Asia, South America, Africa…..who discovered new interests simply by being curious and asking questions. Travelling and acquiring new experiences and making new memories are powerful ways to be engaged in life. Rewiring how you look at travel can make your future trips more fulfilling and rewarding in ways you never dreamed. It will be no surprise that you will also meet new friends along the way who may even become traveling companions.